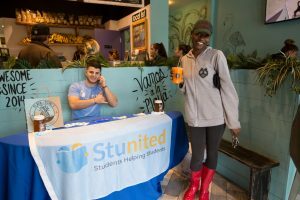 On a spring day just before final exams, one of the newest student-managed businesses added to the Rowan Boulevard, Playa Bowls, and student-developed business Stunited joined together for a day of creation, collaboration and promotion. 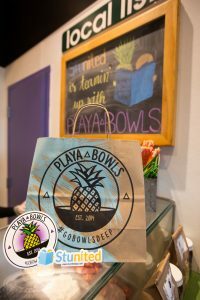 “I’m a huge fan of Playa Bowls and when I heard they were coming to Rowan, I thought this would be a great opportunity for Stunited to collaborate with a new business on campus because it’ll have a higher effect and hype around it. 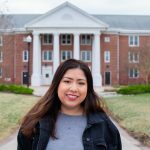 I wanted to take advantage of that so I called the manager [senior public relations and advertising double major Joelle Voza] and we linked up and created this awesome promotional day,” says John Rondi, senior Rohrer College of Business student, creator of Stunited, an app connecting students across campus with studying services. 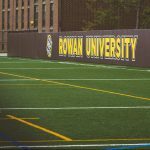 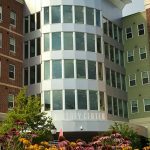 The event advertised both businesses to the Rowan campus, offering free Playa Bowls to those who participated in a social media contest, and 15% off to customers who downloaded the Stunited app. 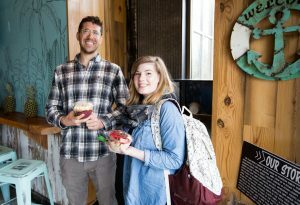 Leading up to the event, Playa Bowls student employees took the Stunited team behind the scenes to make their own bowls. 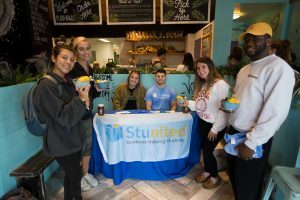 The special-featured bowl on the day of the event was the Stunited Bowl, featuring a blue fruit blend with blueberries, mango, banana and granola. 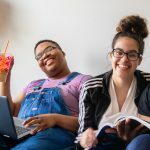 A How-To video was created and shared by Stunited on Instagram, encouraging engagement amongst Rowan students, and giving a glimpse into what these entrepreneurial students are doing and how they come together to grow and share ideas.